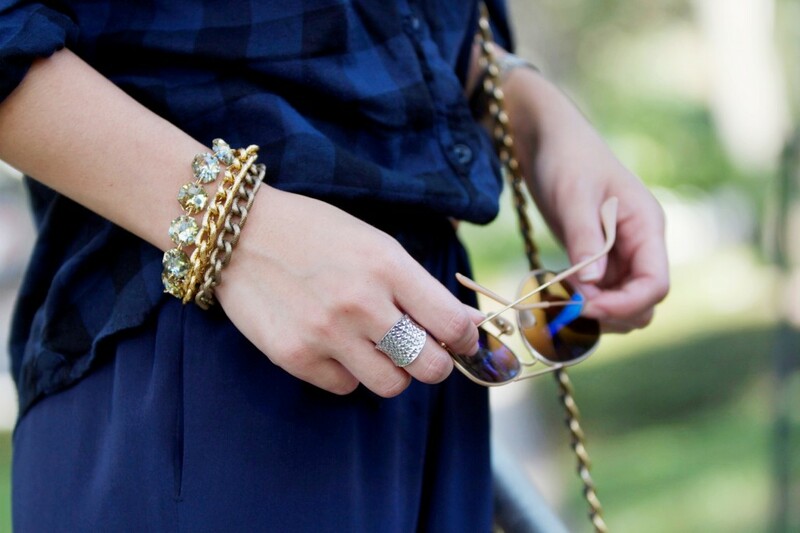 I adore this Vita Bracelet by Butter & Scotch , it adds the perfect amount of sparkle yet has different tones of gold! I love navy blue and when I love something, I tend to wear a lot of it. I paired this navy blue check with navy silk trousers for a casual sunday. I love monochromatic outfits because it’s effortlessly chic and allows you to play with accessories without overwhelming your look. 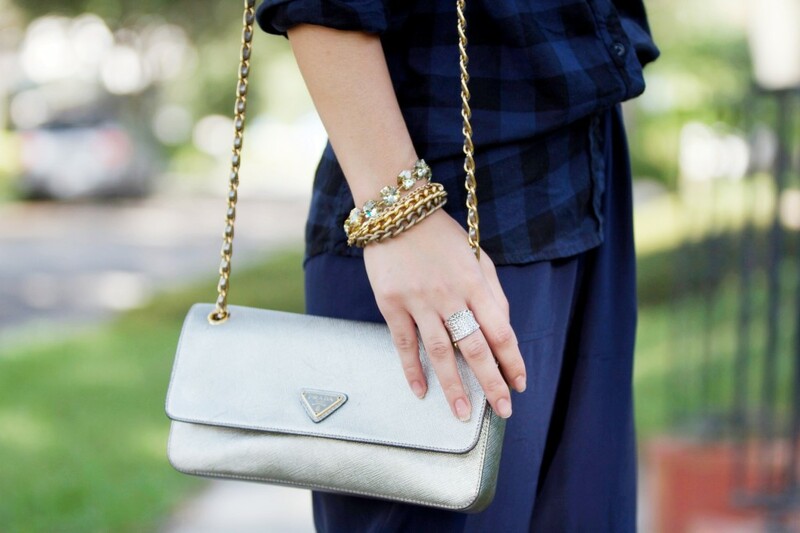 I added metallic touches, wearing my new favorite bracelet by Butter & Scotch and silver heels and purse. P.S. 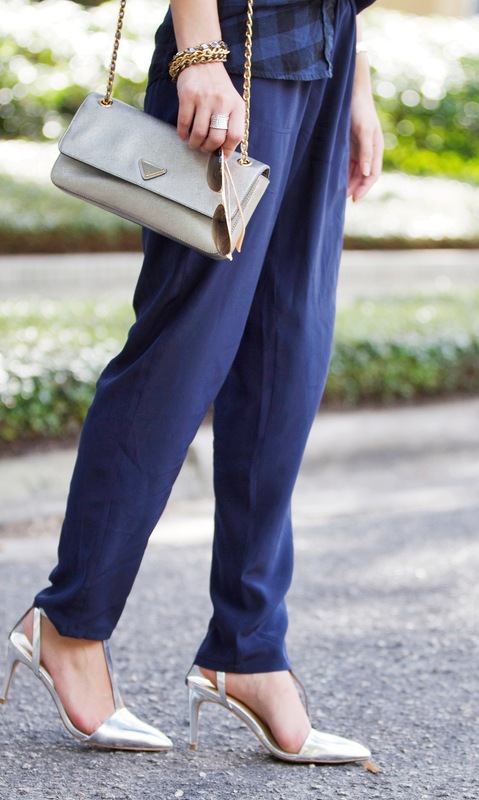 Keep an eye out for pieces you love by Butter & Scotch that I’ll be wearing for a giveaway next month! The silver accents are so unexpected but very beautiful. 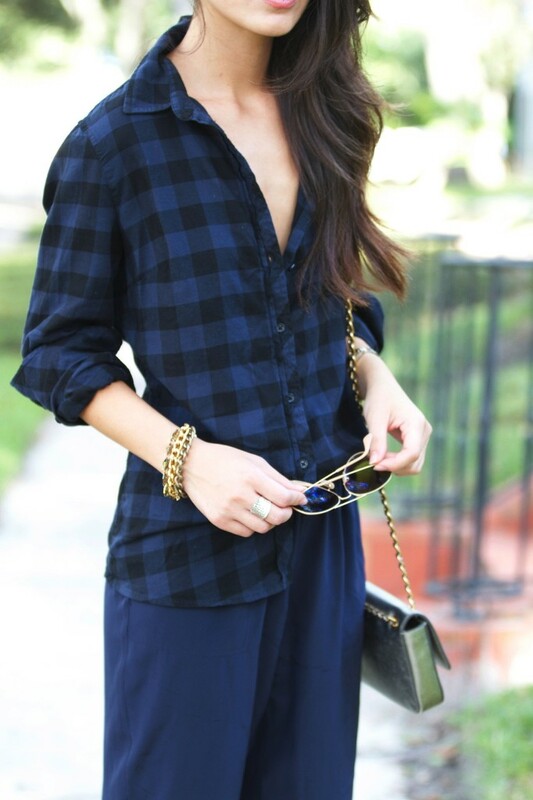 This outfit looks so chic and super comfy!! 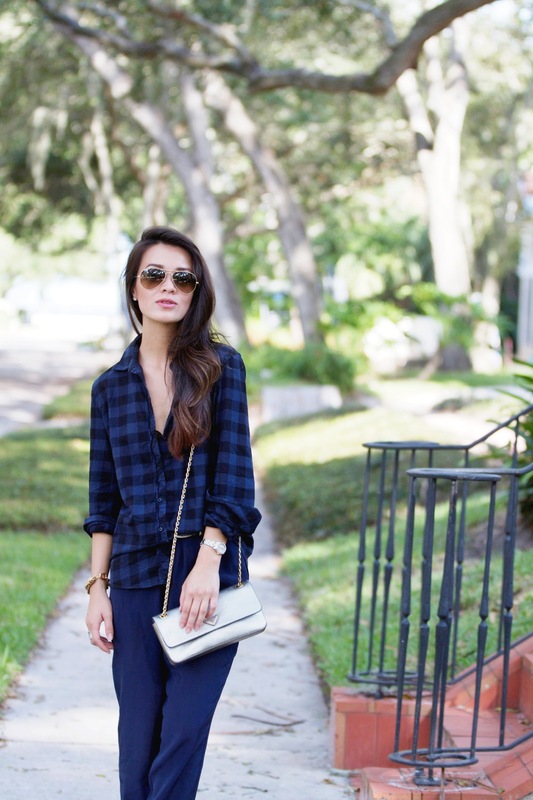 I’m loving the reemergence of plaid this season, and the silver shoes are the perfect finish!